A MASSIVE congratulations goes out today to Angela Marsons, as she sells the millionth copy of crime thriller Silent Scream. It’s a remarkable rags-to-riches tale for the Black Country author who never thought she’d write again. Silent Scream has sold 1 million copies while in total the Kim Stone detective series has achieved close to 3 million sales. A no.1 Kindle UK and Kindle US top 10 bestseller. A global phenomenon: the Kim Stone series has been translated into 26 languages across the world. With money tight after being made redundant from her job of nineteen years, and with her disabled partner recovering from major surgery, Angela had hit rock bottom. After being turned down for a job in an Amazon warehouse, she was forced to sell their belongings and borrow from family members to pay the mortgage – the prospect of losing their home was a very real one. To make matters worse, Angela’s dreams of becoming an author were crushed when she parted ways from a top London literary agency. The feedback from traditional publishers on her crime thriller series was always the same: ‘We love it… but not enough.’ Some worried about the Black Country setting, others that readers wouldn’t warm to her formidable, no-nonsense lead character, Detective Kim Stone. With her confidence shattered, Angela, who pens all her first drafts by hand, couldn’t even pick up a pencil to write. In October 2014, Angela received an email. 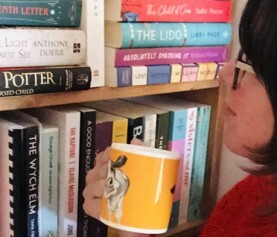 The reader she had worked with at the literary agency, Keshini Naidoo, was now a commissioning editor at a digital publisher, Bookouture – and would Angela be interested in publishing with them? It was a lifeline for me – I didn’t have any expectations about what I’d sell, I thought maybe a couple of hundred copies, but I just wanted to see what readers thought. I wanted them to enjoy it. Silent Scream has gone on to sell over a million copies and was the number one Amazon bestseller in the UK for over a month. It also reached the top 5 in the US and has secured rights deals in more than twenty-six countries, from Germany to Lithuania. Her follow-up novels, Evil Games, Lost Girls, Play Dead, Blood Lines, Dead Souls, Broken Bones and Dying Truth have all hit the Amazon top ten, with many of them shooting straight to the Amazon No.1 spot on pre-orders alone. It is the feedback from readers though that Angela has found most rewarding – with over 13,500 5-star reviews to date. After the feedback that I’d had from traditional publishers, I was worried whether readers would be put off by the setting of my books – but I get emails every single day from readers all around the world telling me that they love Kim Stone and can’t wait for more. It’s so exciting to have that kind of feedback – I’ve been in tears more than once at the messages that I’ve received. As for the financial benefits of becoming an international bestseller almost overnight, Angela says it is still sinking in. The dream for me was always to write for a living, and I just feel so privileged that I can do that now. Every time I get a royalty payment, I have to pinch myself – it seems like lottery money to me. Never could I have imagined selling 3 million books. I am so lucky to work with such a talented team of people at Bookouture. From the wizard that is Oliver Rhodes to my supremely talented editor Keshini Naidoo and the unstoppable Publicity Manager, Kim Nash. Not only did they make all my dreams come true, they made new dreams and aspirations and then propelled me towards them, demonstrating a faith in me that I could only ever dream of. The last two years have been a journey of awe and discovery which continues to excite me every day. I remain truly thankful to the bloggers, reviewers and readers who have passionately supported both me and Kim Stone. 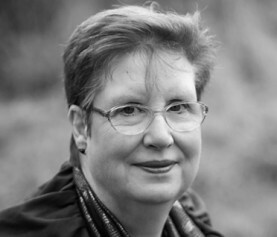 The massive eBook success of the Kim Stone books led to a major print deal for Angela’s first three novels with Bonnier Zaffre; more recently, Bookouture’s print partnership with Little, Brown Book Group’s Sphere imprint has continued her paperback success for the next books in the series, bringing a whole new audience through bookstores and supermarkets in the UK and worldwide. As for what is next for Detective Kim Stone, Angela says that she’s full of ideas – and certainly won’t be killing her off any time soon. I started writing because I felt like I had a story to tell. Kim Stone was the character for me who just wouldn’t go away, and I feel like I’m just at the start of her journey – there’s still plenty more to be revealed about her past as well as the next cases. I know it’s a cliché, but never give up. There’s always a chance that your luck will turn – and my rollercoaster ride is testament to that. • Top 100 Amazon hits in UK, US, Canada, Australia, France, Spain and India. • Translation deals in Arabic, Brazilian, Bulgarian, Chinese, Croatian, Czech, Danish, Estonian, French, German, Greek, Hungarian, Icelandic, Italian, Japanese, Lithuanian, Norwegian, Polish, Portuguese, Russian, Slovak, Spanish, Swedish, Thai, Turkish and Vietnamese. We’d love you to join in the celebrations over at Facebook and Twitter. 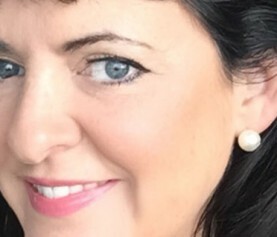 Bookouture has signed two new novels from million copy bestselling author K.L. Slater. Bookouture is the trading name of Storyfire Ltd.